When a long and arduous battle finally culminates in victory, but you are wilted and weary from the exertion, kindness flows over a dry and weary soul like a crescendo of waterfalls flashing in mid-day sun. I know, because someone extended this kindness to me in Kenya. 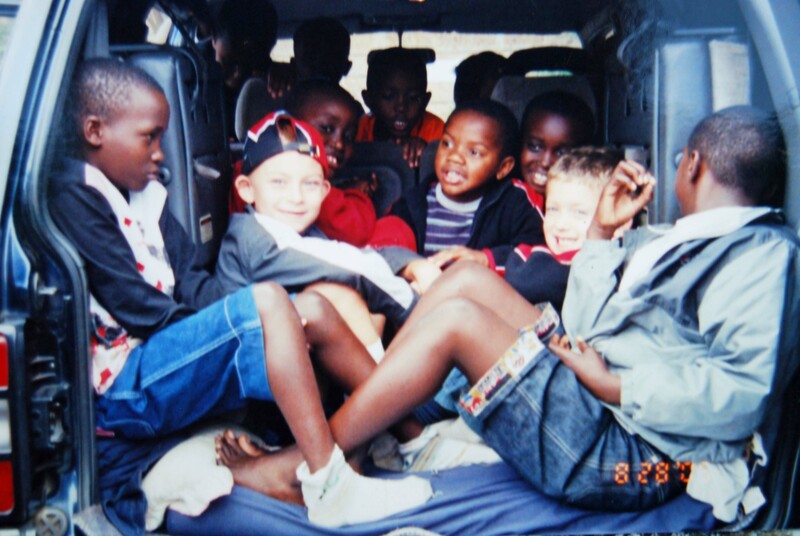 Our adventure began with nine children and six adults clamoring into Mwenda’s SUV. My three boys, exhilarated by this flagrant deviation from American safety norms, piled in the back like puppies with five other kids. We cruised beyond the urban clutter of Nairobi into expansive savannah. Acacia trees nodded benevolently in the wind, rolling hills promised something delightful around the next corner. Hours slipped under the wheels as they carried us far away. During our long 7 ½ month sojourn, transportation was extremely expensive, so we confined our travel to only what was necessary for our daughter’s adoption process. It felt utterly extravagant to cruise the open road for pure pleasure! We pulled into a red dirt parking lot, fringed by dusty green trees. Kids eagerly unfolded crushed limbs and stretched out, chasing a basketball around the vehicle. Adults unpacked sacks of snacks and spread a blanket to soak up sun. Then the group gathered and scrambled down a trail. Earthy scent of soil and leaves drifted in the breeze. The source of a persistent roar came into view as we rounded a bend. Glistening water thundered over a drop-off, crashing in multiple waterfalls over rocks below. On the other side, the gaggle of kids clamored over a jungle gym of boulders and trees. 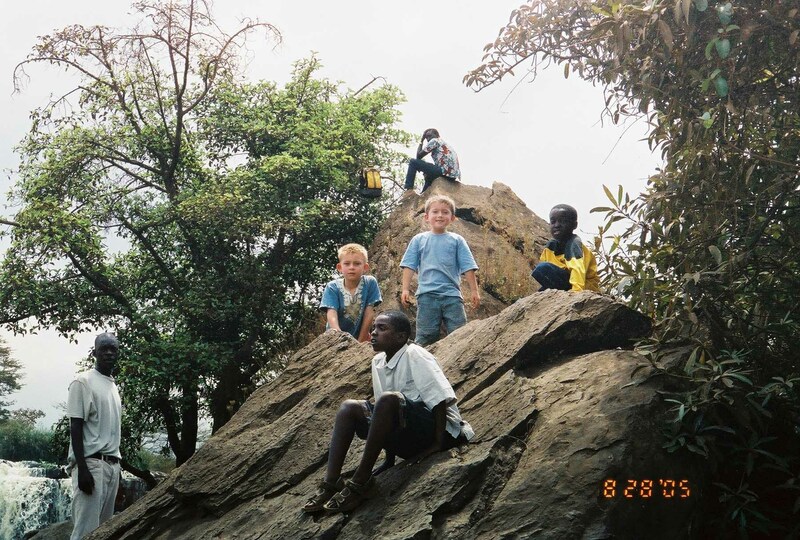 Soon they were whisked away by strangers as Mwenda reassured me that the guides were there to help the kids climb safely. I reveled in rock formations, crescendo of dancing water, air alive with the smell of growing things. I was grateful they were off stretching their legs, stretching their souls. When next I caught sight of them, my eight-year-old son’s scrawny legs hung over the edge of a 20 foot cliff! Jacob clung to roots cascading down the surface from a tree sprouting from the cliff face. 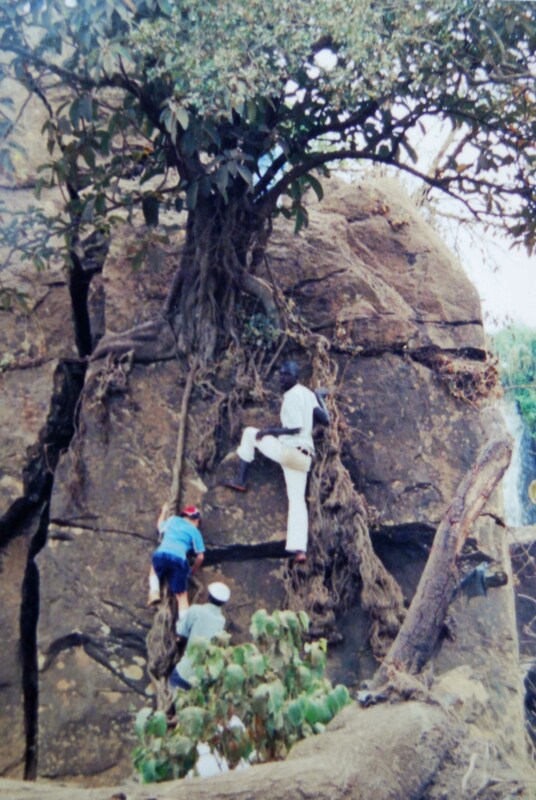 Two barefoot Kenyans wedged into cracks in the rock and supported his downward progress. No helmets, ropes, carabineers or liability releases. Other Americans can probably imagine my surprise. In our safety-obsessed culture we often think we can cheat death by eliminating risk factors. I breathed a sigh of relief when my son touched solid ground below, then glanced up at the top of the cliff only to glimpse one of my five-year-olds slithering over the top! Once the boys arrived safe and sound with me, we laughed at the thrill of their adventure. I first met Mwenda in an hour of desperation. Our second court process to adopt our daughter seemed doomed to fail, and I had no idea where to turn. Our dear friends the Karaus urged me to meet their nephew by marriage, a lawyer, Mwenda. I was demoralized from screeching into multiple dead ends; nevertheless, I agreed. I had nothing left to lose. With a mix of intelligence and compassion, he listened to my story, heard my story. He saw beneath my friendly smile and recognized a deep exhaustion. Although an accomplished lawyer, he admitted he had never handled an international adoption case. But he heard my story with kindness, and I knew I could trust him. Indeed, again and again he went above and beyond the call of duty to carry our case to completion. Just one example, I distinctly remember the day a Kenyan social worker came to conduct an interview for the case. Mwenda loaded my two youngest boys in his car and hustled them off to a nearby town center for candy so I could concentrate. When it was all said and done and the case was finally decided in our favor, it was a well-deserved time to rest on accolades. Instead Mwenda carried kindness to another level. 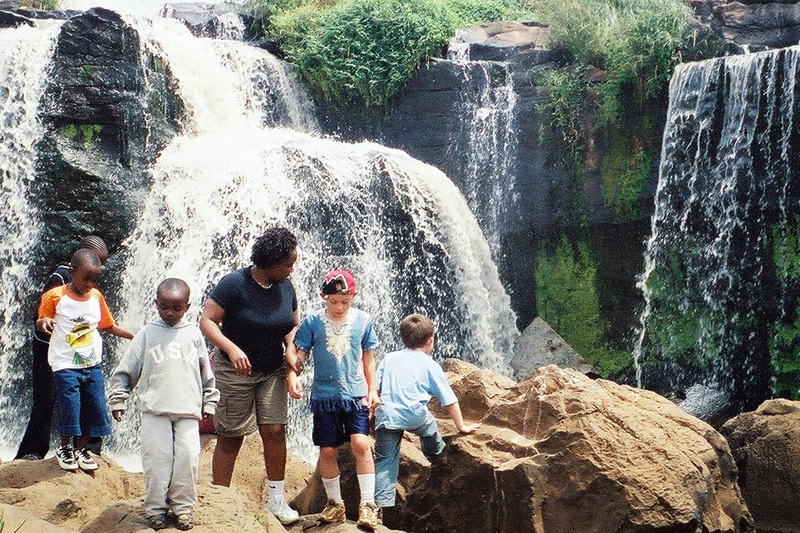 He invited me and my four young children to join his family as guests for a day-long excursion to Fourteen Falls. After playing on the boulders, we hiked to the top of the falls. Holding hands in a long line, we snaked with guides around gnarled tree roots clutching the lazy water’s edge and across slippery rocks and islands of vegetation, making our way for at least an hour across the wide, shallow river. My kids were just kids, laughing and carefree, splashing water at me. Perhaps they hardly recognized me as the burdens of the previous month – the tears, the constant adrenaline, the red-tape nightmare hang-over – fell away like so many droplets of water shimmering in the sunlight. I am a “rugged individualist.” Born and raised not only in the USA, but in the wild-west where independence and self-sufficiency are high cultural values. Sometimes it takes actually being the foreigner, the broken and vulnerable, to truly understand those who are so close to the heart of God and why He calls us to love them in His Name. As Mwenda loved me and my children. Like water in a desert, kindness traces rivulets in the heart where, years later, streams of life-giving gratitude still flow. Those are some great stories and pictures. Wow where they that small! it’s hard to believe! how quickly it goes. I’m so glad you could meet him too. He blessed us above and beyond! 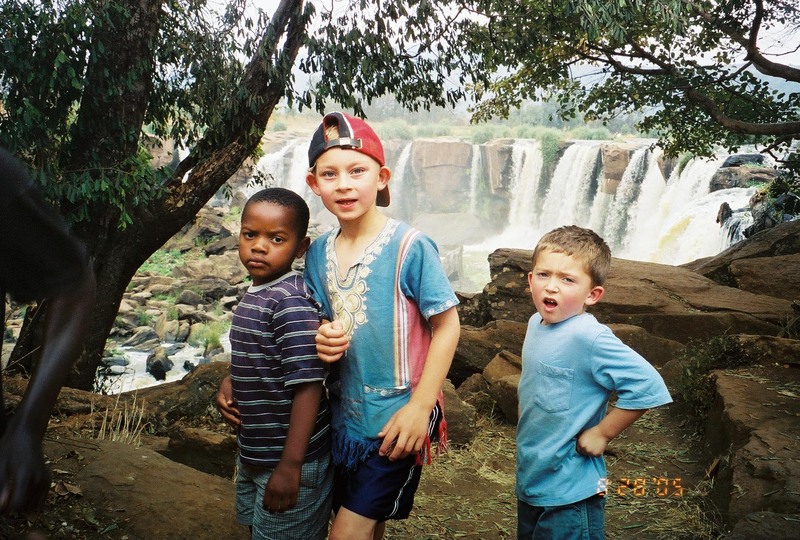 Ours was his first international adoption, but then he quickly became a leader in the country in international adoption. He has the heart and the skills!